Mike is a Risk Management Specialist with 2-10 Home Buyers Warranty, and has been in the residential building industry for over 34 years. He holds the NAHB Designations of CGA (Certified Graduate Associate), CGP (Certified Green Professional), CSP (Certified Sales Professional, and CAPS (Certified Aging in Place Specialist). Michael has been an approved instructor for Builder Continuing Education classes for the Louisiana State Licensing Board for Contractors for 14 years and is a certified instructor for NAHB for several designation classes in the areas of Risk Management, Customer Service, Business Basics, to name a few; and has been instructing builders, associates and trade contractors in these areas for the past 11 years. He has been recognized at the local Northshore and Greater New Orleans Home Builder Associations and the Louisiana HBA as the Associate of the Year. In 2011 he was inducted into the St Tammany and Louisiana HBA’s Hall of Fame. Nationally, Michael has received the distinguished Bill Polley Award and inducted into the Society for Honored Associates. Michael is also a licensed Louisiana builder and insurance agent in Louisiana, Mississippi and Alabama, and Tennessee. 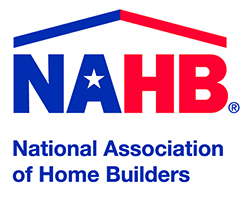 Michael is currently serving as the President of the Home Builders Association of Greater New Orleans.